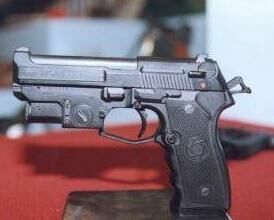 FOLLOWING INFORMATIONS FROM: http://www.civiliangunner.com/T75K1.htm CALIBER: 9x19-Parabellum TOTAL LENGHT: 194 mm BARREL LENGHT: 106 mm WEIGHT: 910 grs. 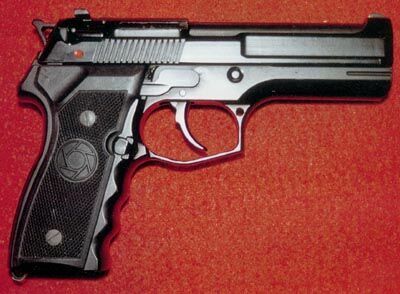 MAGAZINE CAPACITY: 15 rounds As you can see, the T75-K1 is a Beretta-based design, although it looks more like a LLAMA 82 copy. Probably a special forces version of the T75. Can be fitted with a laser aiming module.